Forum Index > Makers and Manufacturers Talk > Storta! Posted: Wed 02 Jul, 2014 3:33 pm Post subject: Storta! Sorry I had to add the '!' it is such a great name for a weapon and I feel it needs this. 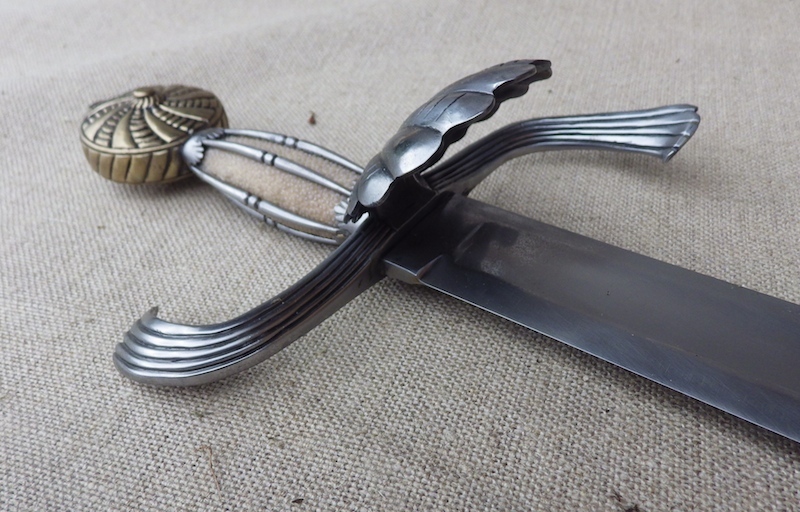 Storta is basically the Italian name for a falchion, though of course with local styles and they remained popular in Italy into the 17thC, with ever increasingly weird and complicated blades. I was commissioned to make this storta based on a piece sold by Fricker and the blade is based on elements from other storta. This is dated around 1600. 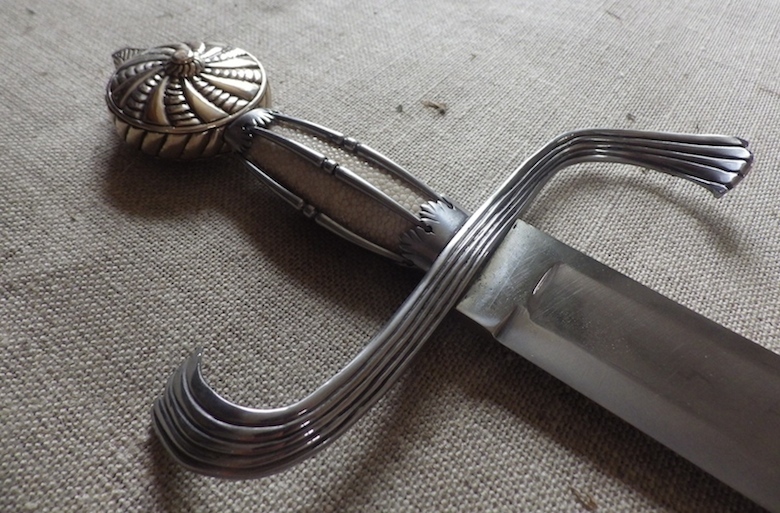 The sword has a single edged blade with a broad fuller and straight grind with a secondary bevel. 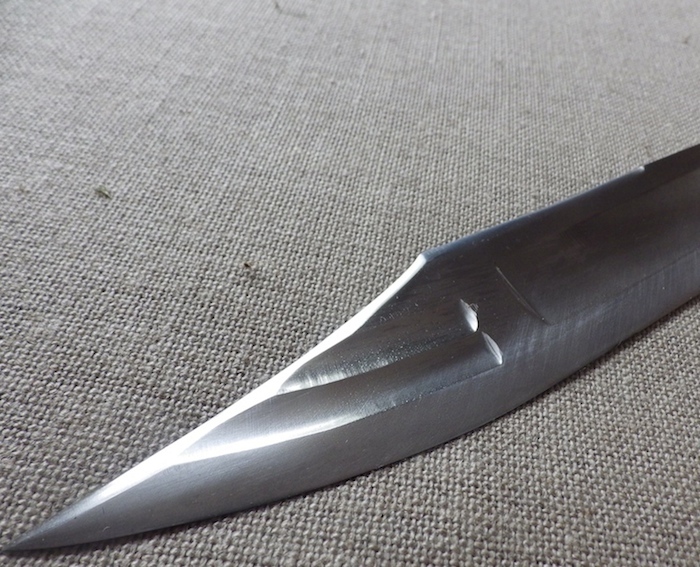 The tip has two further fullers and a false edge on the clipped point. 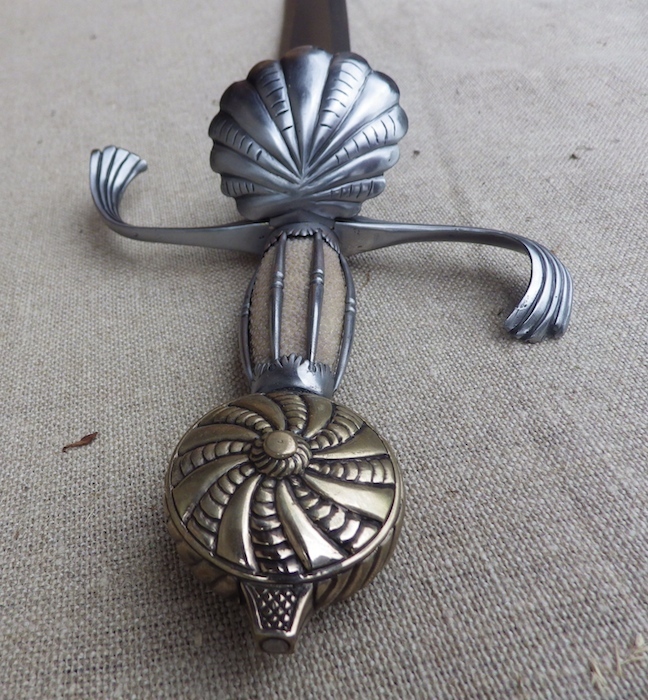 The guard is steel and the pommel is a hollow bronze fabrication. The grip is elm, covered in shark skin and has 6 steel decorative rods and steel ferrules at each end. blade thickness at hilt 6.5mm/1/4"
blade thickness at clip 2.0mm/3/64"
I hope you like it and if you have any questions please ask. Wow! That is stunning Tod. Absolutely stunning. That is a beautiful falchion, Tod. What a cool looking sword! And of course brilliant craftsmanship. I am curious about that grip. How does feel to wield this? A really wonderful piece Tod. It's great to see more of these, beside one example from A&A there are too little replicas of this types around. This looks straight out of the pages of Armi Bianche Italiane. What a sword! 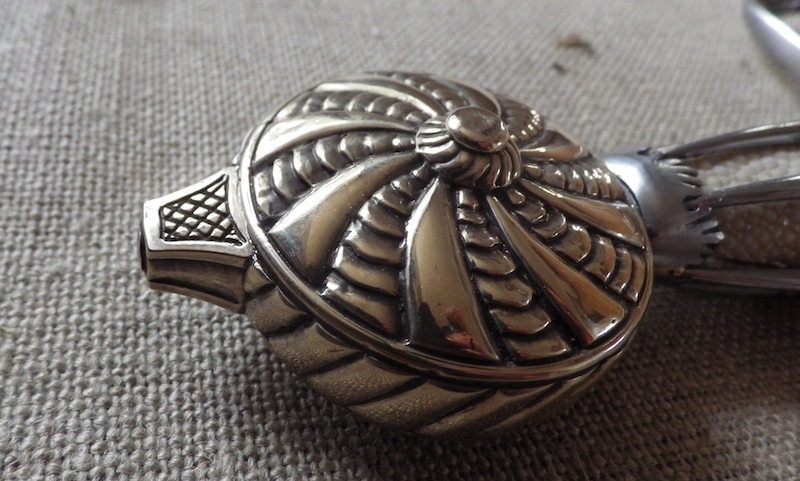 And especially, WHAT A HILT! Such a beautiful piece - once again! ...On the technical side, are the grooves on the guard file worked or how have you made them? indeed, outstanding. that combination of materials blends nicely together. Maybe you should have called it the iStorta instead, since somehow the lines of the design evoke the shape of modern "smart" gadgets to me. Not to mention that the short double fullers at the point really resemble the RSS logo. I am crazy about this piece. 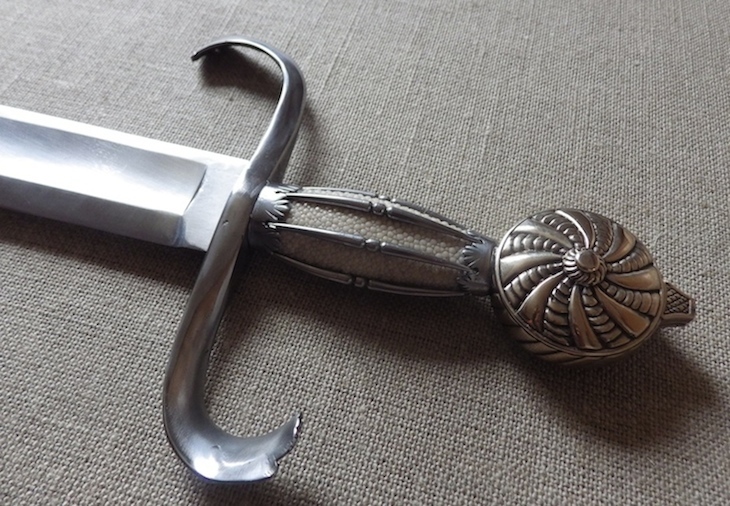 These Renaissance period single-edged swords are super intriguing to me. This one happens to be beautiful, too. What a great commission. of Perseus with the head of the Gorgon, perhaps. Simply magnificent. The cross guard might be my favorite component, looks like the precursor (or contemporary?) 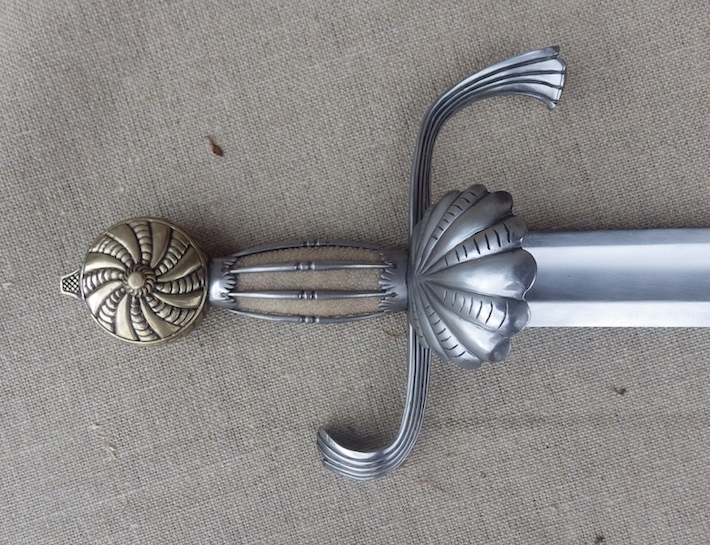 to ribbon hilted rapiers. And the accent lines only on the public side is one of those asymmetries that you see all the time in period pieces but can put off modern collectors. I really like that detail! Wow, what a beautiful piece. 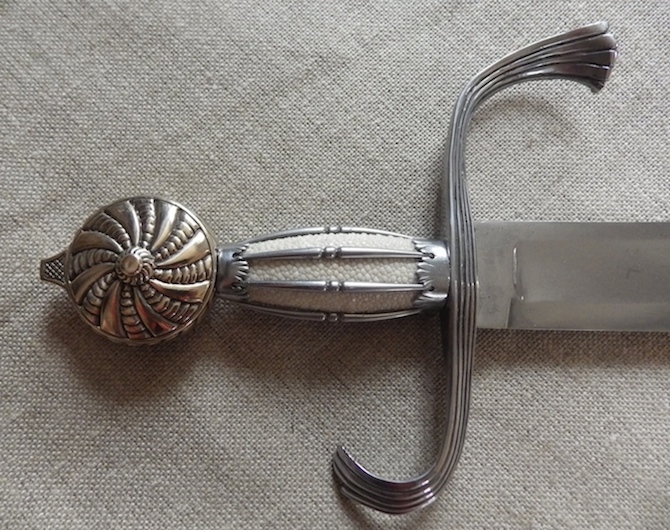 All of the elements really work well together: the blade's fullering, the detail work on the hilt, all simply outstanding. Well, such blades are not in my "most favourite" group, but everything here - blade itself, guard, grip and pommel - are just impressive. sorry for the delay in answering, I am just about to knock down the house and the site clearance took out my phone line. Thanks for the great response, it really is very gratifying and Nathan, it was a great commission. Jarno, I decided the cast this hilt and so I worked the firework into the wax rather than into steel in this instance. 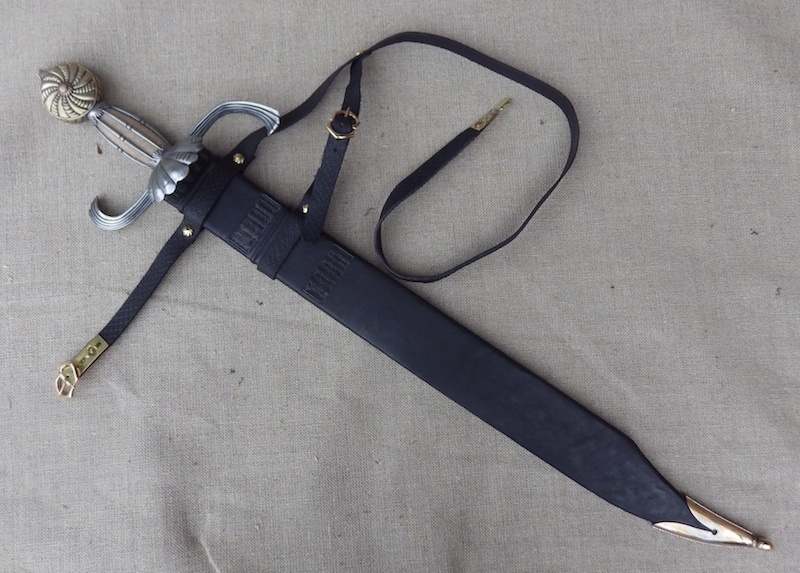 Tim, unfortunately the budget will not stretch to the scabbard it should really have...... But it will have nice plain one that is fitting, if not bling enough and I will post up pictures in due course. The original had a shell guard that the customer did not want, but yes you are right, it is the side that shows that was usually important and in most of my work I follow this principle - it helps to make the pieces ring true.. Things happen in life that you cannot quite explain. 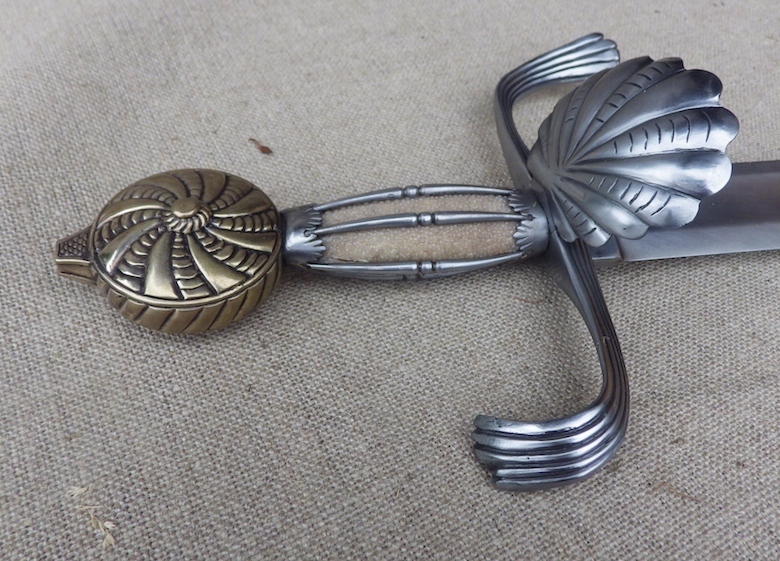 When the customer placed the order for some reason I had it in my head that he did not want a guard; I even commented to Peter Johnsson that it was a shame it didn't have the shell. My job sheet had 'no shell' on it. So a revisit later and now it is complete. I hope you like it now in all its glory. YES! That completes it. Oh holy hell that is nice. 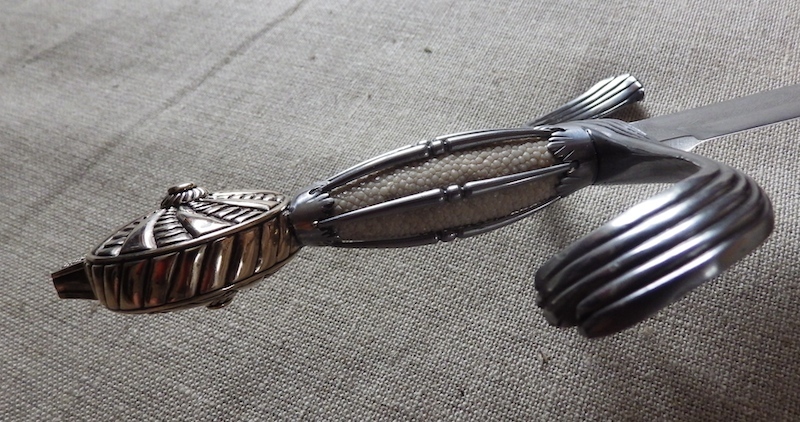 The scabbard is lovely, too. What an excellent sword. I would love to be able to have the chance to handle it. Very nice work, Tod.